This is a seriously overdue post but what with my lack of words, blogging hiatus and general 'Having A Life', I've only just got round to actually posting about this palette. Since my internship at Bobbi Brown two years ago I've always had a soft spot for the brand and look forward to see what they having coming out because they've really started to jazz things up a bit. Before I worked there, I thought of the brand as too 'mature' for me but it's really not like that so if you had the same idea as me then I highly recommend you stop by a counter one day and having a poke around. 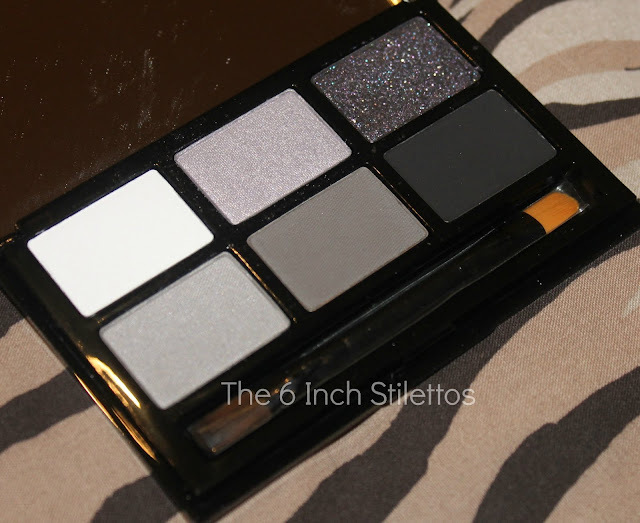 Their Holiday collection for 2012 was nothing less than gorgeous, mainly because of this beauts 'Black Pearl Eye Palette'. The palette also comes with a mini dual ended brush with a flat end for applying and a fluffy head for blending. 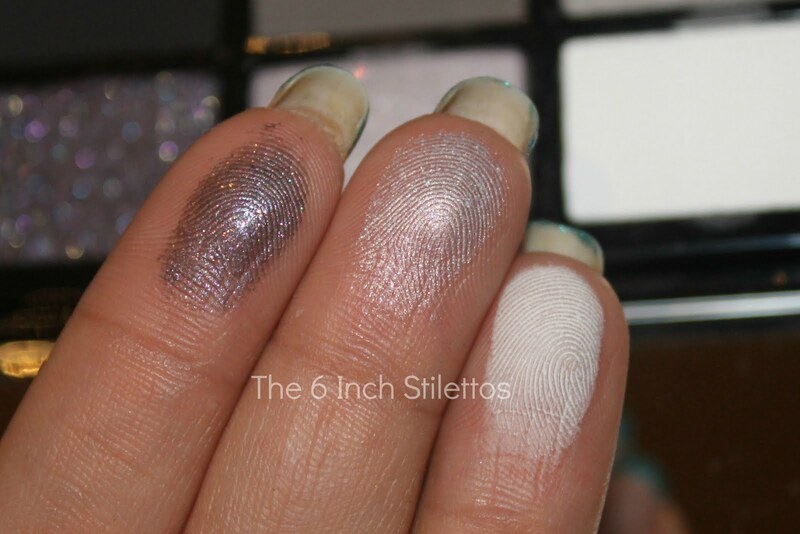 My eye zoned in on the Black Velvet Sparkle Eyeshadow as soon as I opened the palette and it really didn't disappoint once I swatched it on my fingers. Do you see what I mean? Black Velvet just didn't disappoint at all and I am definitely going to be using this on my next eye out. 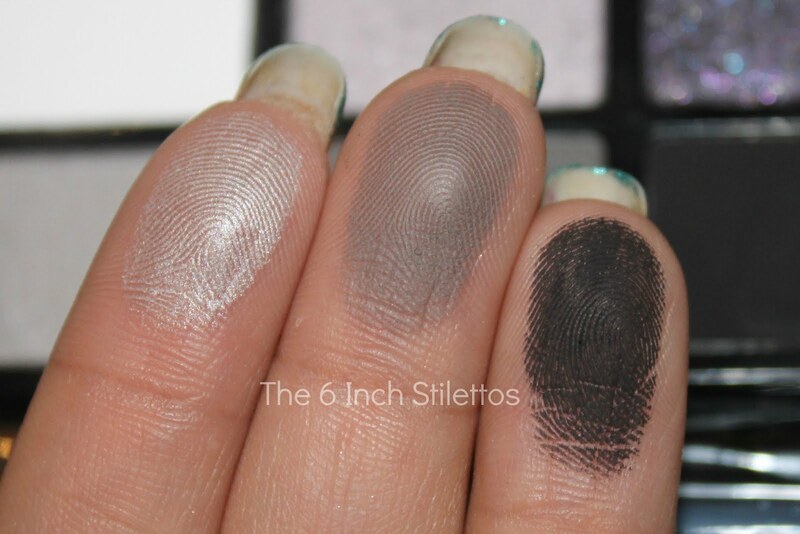 Although not as impressive as Black Velvet, the shadows definitely hold their own because they're pigmented and you can see the different textures between them all. Black Pearl (matte black) packs a lot more punch than Carbon by MAC while Grey Denim would probably work nice an all over lid colour so I look forward to having a proper play around with them. The texture, pigmentation and palette as a whole gets a big thumbs up from me and I think it's a nice palette for taking away on holiday because you can put together some really vampy looks. A little bit of smoke and glitter never hurt anyone, did it? 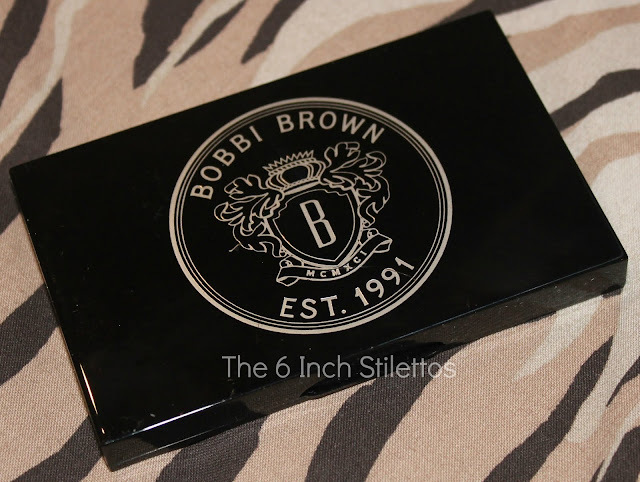 The Bobbi Brown Black Pearl Eye Palette is priced at £42.00 and still available from the Bobbi Brown website and possibly a few counters so check your local one. I'm going to try out a sparkly look at the weekend, even though I have nowhere to go, so watch out on Instagram (search for The 6 Inch Stilettos) for photos and if they're good enough then I'll wack them on here for you!